Last week was design week in Milan, which meant our annual furniture adventure to Italy, one of the main highlights of the Curve year. This time Jessie came along with Lucy and Ben – we arrived on Friday morning and headed straight to Wallpaper* Handmade as it was one of our favourite exhibitions last year. With beautiful and intriguing pieces on show our favourites included the copper vodka set by Tomás Alonso, Tej Chauhan’s take on a toolkit (the install team were very impressed!) and the ‘Mille-Feuille’ storage units from our friends at German company Schönbuch. 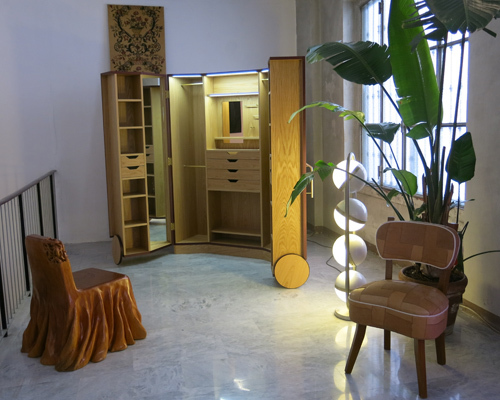 The exhibition set in the fabulous show room of Leclettico was the perfect start to the weekend. Next stop was a visit to wonderful Paola Lenti, who again showed at the exquisite renaissance cloisters of the Umanitaria. The combination of Lenti’s amazing colours, with the serene water features and late afternoon sunshine provided the perfect setting to enjoy our first glass of Prosecco and provided some great ideas for our ongoing projects over in Mallorca and Marbella. 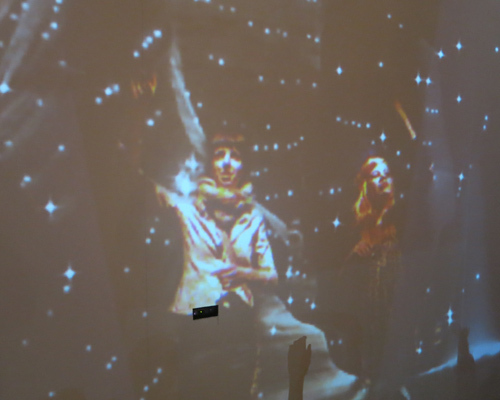 With evening now approaching fast we headed off down to Tortona to seek out some cool new design at Superstudio, we loved the innovative and interactive displays as we squeezed through marble mazes, melted ice with our hands and caught falling stars at Cotto’s Caverna Nirnava! We avoided a massive thunderstorm by diving into ‘Picnic’ for dinner (a new find, great food! ), then ended the night with a couple of drinks at the Designersblock party. Saturday, time for the Salone! We headed up to Rho first thing in the morning for a mammoth day of furniture viewing! Our first stop was a tour of the Poliform stand where we got up to date with all the amazing new products and what is now in production. 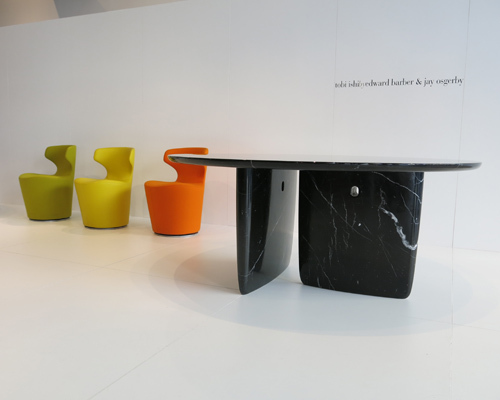 We loved the new ‘Item’ collection by Rodolfo Dordoni, showcasing some beautiful finishes and clever design elements and the ‘Mad’ chair by Marcel Wanders especially as it was shown in Curve mustard! 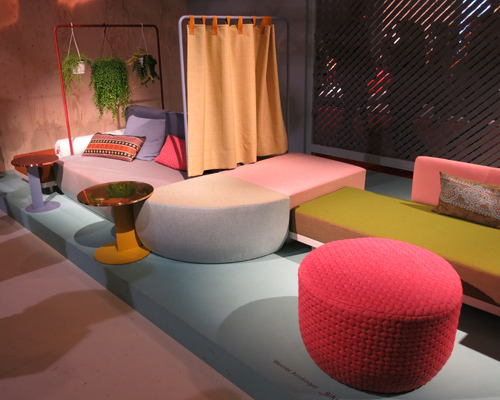 As we worked our way around the furniture halls some of our favourite stands and products were seen at Driade, Arflex, Moroso, Cappellini, Kartell, Vitra, Missoni Home and Munna. Pastel colours were very evident this year, including a lot of pink! 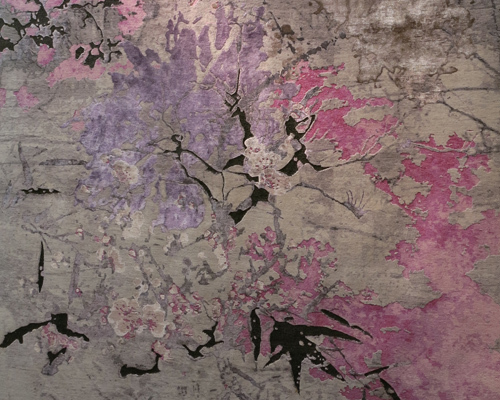 This included a noticeable trend for blossom which combines beautifully with other trends we spotted such as folded paper lighting and of the use of lots of dark or ‘Emparador’ marble. 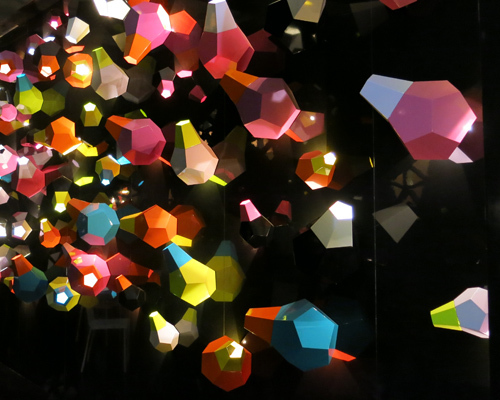 Fuelled on Machiattos (and a latte for Jessie) and Barocca we continued around the halls of Euroluce discovering some old and new favourites from brands such as Flos, Bocci, Barovier and Toso, Karboxx and Fuksas. Our legs ached but it was a wonderful day .. it’s so exciting to be able to bring new ideas and products for our live projects back home so the opportunity to visit events like the Salone is invaluable to us as a creative team. We enjoyed a fabulous night out in the surrounds of the Brera district soaking up the atmosphere and a few ‘bananacoladas’ before heading back to Hotel Lido .. I mention the hotel as it is a great place to stay in Milan .. it’s decor is ‘traditional’ but the location and the staff were brilliant and the breakfast great too! On Sunday we had plenty of time left to go into the city and explore some more of the ‘Fuorisalone’ in the furniture stores around Via Durini, we were impressed with the new products in B&B Italia, especially this table designed by Barber Osgerby, and some of the finishes included beautiful marble and chocolate brown velvets. 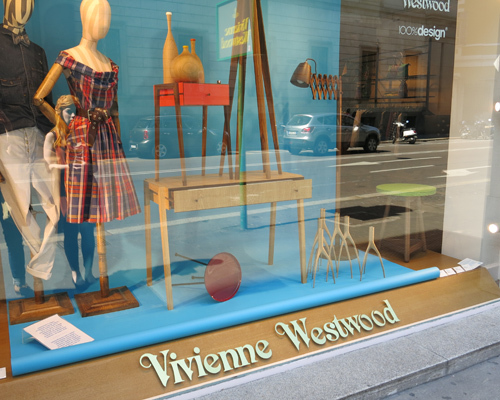 We took a look around Baccarat (always stunning), New British at Vivienne Westwood, Nilufar (a new and wonderful find), Armani Casa, as well as a bit of ‘window shopping’ in the fashion boutiques. 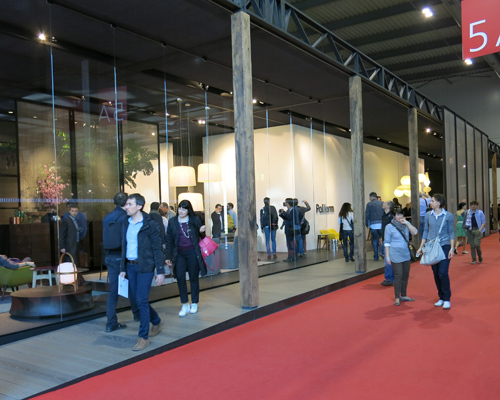 Last stop was a taxi ride to Edit by Design Junction, which was hotly anticipated and did not disappoint, we made some great contacts with fantastic designers from around Europe showcasing furniture, rugs, lighting, textiles, ceramics and glassware. Jessie’s orange hair, the talk of the weekend, attracted us an invite to Sweden before we walked up to La Scala to a taxi and the Malpensa Express. 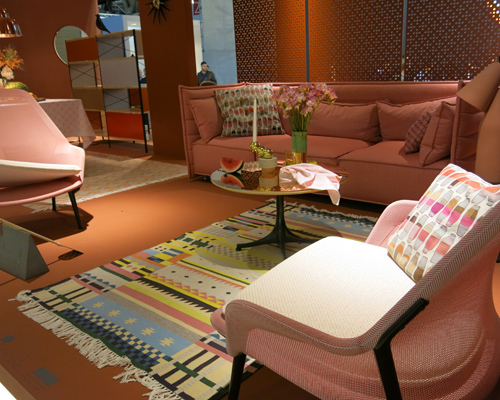 Look out for some more of our favourite photos and trends from Milan on our Facebook page over the next couple of weeks.